This is my Takahashi TOA 130 page. 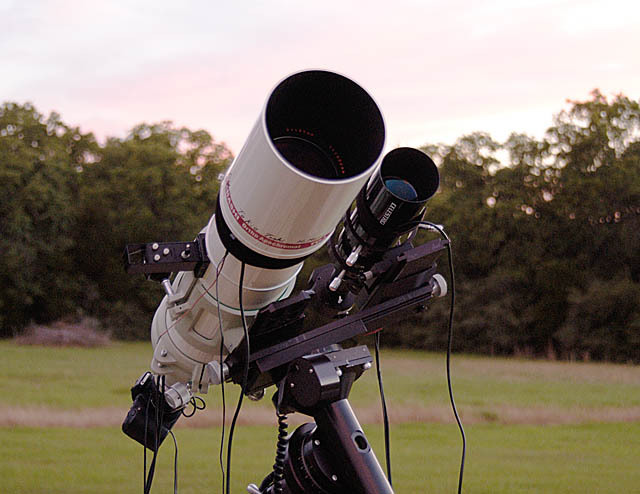 More pictures of the TOA 130 and my astrophotography setup is here on my main equipment page. 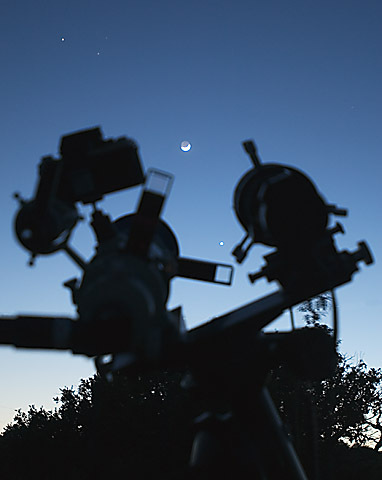 TOA 130 Middle, FSQ-85 on right, ST-80 Guide Scope left, AP 900GTO mount holding it all. This is the best 10 frames from September 28 2016 and is presented primarily to show the full-frame results with the new TOA reducer (TOA-35 Reducer 130Set, TKA31580N with the reducer itself being TKA31580). 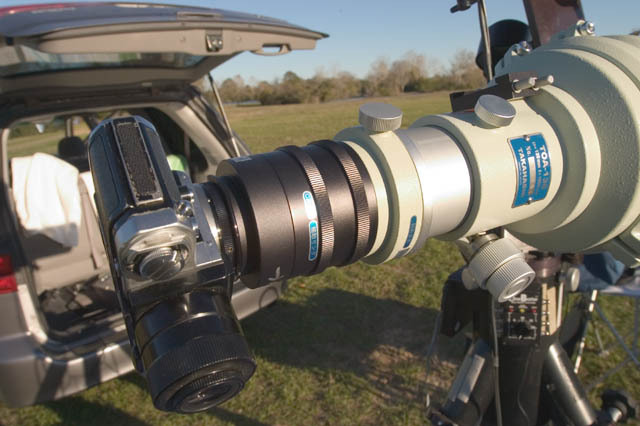 Takahashi TOA 130 telescope with the new reducer so focal length is 700mm (698) at f5.4 (5.37). 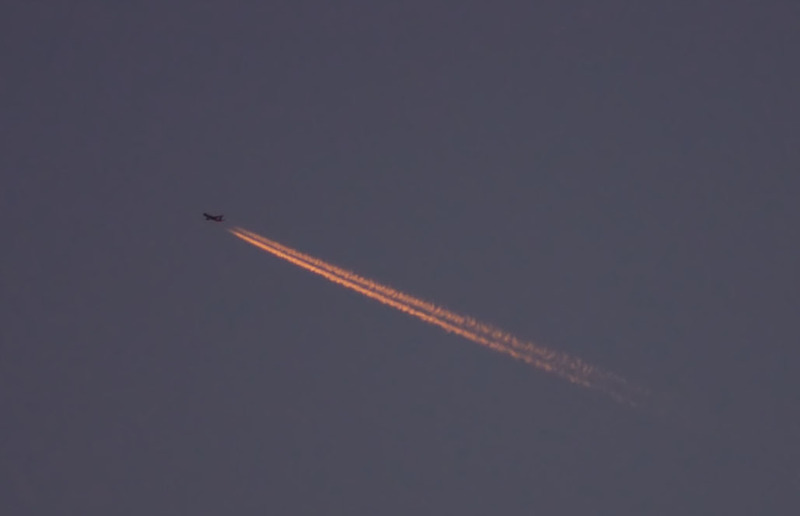 Captured on the Nikon D810A camera (full frame); FOV is 176x118 arc min, 1.47 arc sec per pixel (just about perfect.) My equipment rides on the AP 900GTO mount. 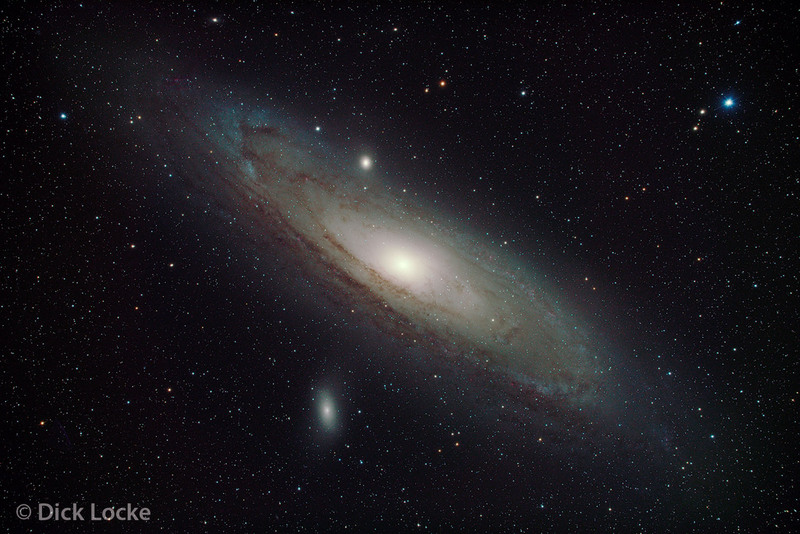 The final version with two night's images and better processing is on my main M31 page here. There's a larger, single frame image below if you want to take a closer look at the star quality. 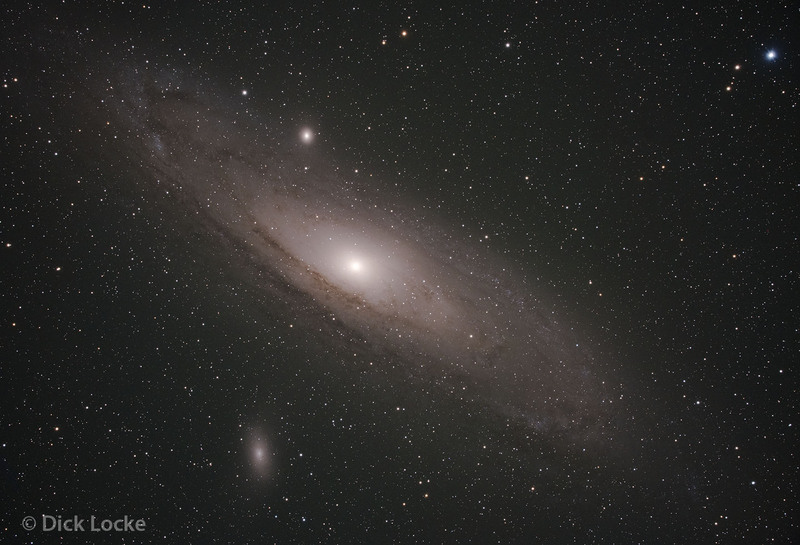 Large, Single Frame M31 with TOA 130 and "New Reducer"
The TOA 130 is a 1000mm f7.7 focal length APO triplet lens refractor. With the old reducer, the focal length is 754mm at f5.8. With the new (2014) reducer, the focal length is 698mm at f5.4 (looks like it's really f5.37 to be exact). This October 2012 update shows the "Precise Parts" 35mm long adapter attached to the QHY8 camera giving me the correct distance between the flattener & the camera. Your optimal distances depend on your camera model. A Table for the TOA 130 is at the bottom of this page. The parts in order are (one and only one!) CA 635 (a fat, threaded extension ring), compression fitting, flattener, TCA 1050, and the PP 35mm adapter. The Precise Parts adapter replaced 3 adapters LSS/TNR cobbled together for me prior to a Takahashi part being available, which I believe is the TCD0350. Sometimes I go months without being able to do any imaging and I forget how to hook everything up with approximate focus... I hate it when that happens. These pictures with the QHY8 to remind me. Flattener metal back distances: f/7.5 . 980mm, 117.5mm w/TOA-130 NS (2.7" focuser). For TOA and reducer (TOA-130R) I'm using the correct 35mm (distance) set of adapters. Takahashi now has a single part (instead of 3) to mate the QHY8 & reducer. According to this Anacortes link, distance to chip parameters should be 83.7mm w/TOA Reducer (f/5.79 · 780mm). A similar OPT link is here. ST-8300 camera: the chip is .7", 17.5 mm, behind front plate (delta is 66.2mm). For reference, the distance from film to the front of Nikon cameras is 46.5mm, 46.0mm for Olympus OM, 44.0mm for Canon EF, and 42.00 mm for Canon FD. 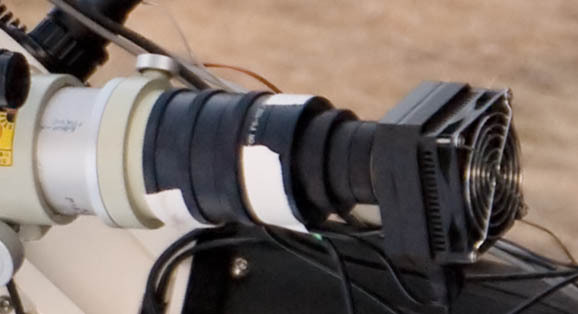 This is also showing an incorrect adapter between the TCA1050 and the camera; this should be using the 35mm length adapters. 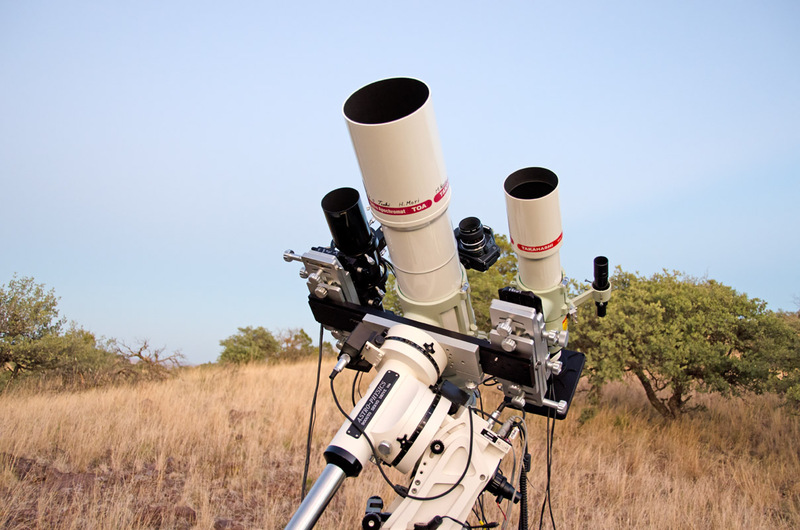 Takahashi TOA 130, Losmandy G11, dual saddle plate, Celestron "short tube" ST 80 being used as a guide scope with the SBIG STV atoguider. The Canon EOS 20Da camera is connected to the TOA 130. You can also see the Rigel Quick Finder on the left of the TOA, along with some dew heaters & associated power cords. 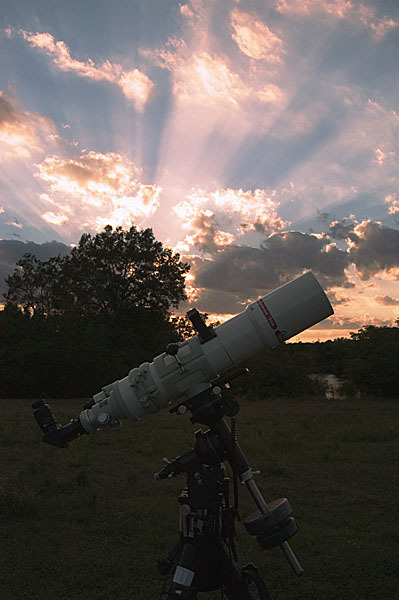 In English, a refractor is the type of telescope familiar to most people, very similar to an old "spyglass" in design. 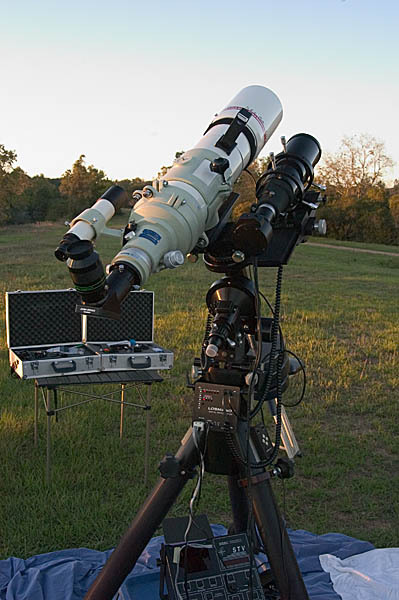 Refractors have lenses near the front of the telescope, with an eye piece (a small lens) in the back. I'm carrying a TOA 130 and a ST 80 guidescope on my G11. I had a challenge in getting the sculptor galaxy image... Due to a lack of bright stars in the region, I was guiding at maybe 4 second correction intervals. That just isn't quick enough for my mount, so I re-framed so that I could get a bright guide star with about 1 second corrections. That made a large difference in the quality of my stars. CCD Calculator from Starzonia is here. NOTE 2014: The new TOA 130 reducer comes with a spacer that allows you to use your old adapters! Good job Takahashi!